A red wine glass with a difference! 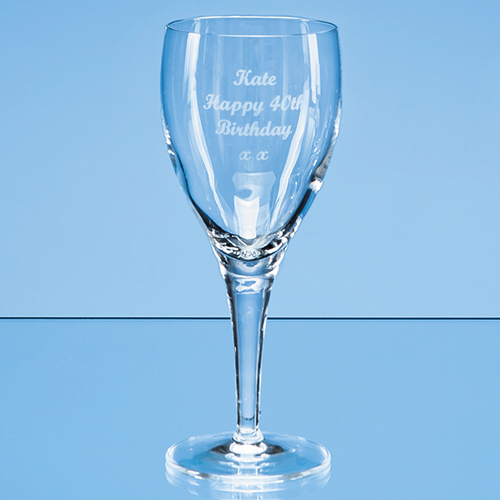 This classic Michelangelo red wine glass will take a generous 225ml of your favourite tipple, plus can be engraved with your chosen, logo, crest or message, making it a sophisticated gift for any occasion engagement, birthday or anniversary. Available as an option is a beautiful presentation box with satin lining.